Staffing efficiently in a healthcare practice and keeping the largest cost of your practice in check (human resources and all costs associated) is a HUGE concern for all healthcare practices. The recommendations coming from the private industry sector is clear; automate for efficiency and cost reduction. And that’s exactly what healthcare is doing. Automation of medical records, billing, appointment reminding, communication with patients, prescribing medications, receiving test results and even making an appointment and checking-in for that appointment. But what healthcare communities are finding is that when you combine too many tasks for one individual to do, during times of growth, inefficiency happens. There is no question that multi-tasking has to be a part of the make-up of the modern healthcare care giver. Automation has brought opportunities for organization and ease of “filing” information in a variety of ways. It has brought new meaning to the word “communication.” “Computer to computer” communication as well as “patient to provider” and vice-versa has re-invented how we collect and transmit data and information. One of the challenges of this new world is how to best take advantage of the “gadgets.” There are a plethora of ways providers use their medical records. Some carry it into the exam room and spend their visit time keying away while conversing with patients. Some prefer not to key and use a voice optimization tool during the visit. And a few use what we used to call secretaries, but now we call them scribes to key in information. The common wisdom out there is don’t use scribes because they add cost. While scribes may add cost, the real question is “does it make the provider more efficient by using?” The person generating the revenue (the provider), generates that revenue by treating patients not by using a computer. I can hear some of you saying, no, he generates revenue by submitting a proper bill and getting paid the first time Think about that for a minute. We want the provider to become more efficient, more productive, more clear in his/her documentation and, in fact, more detailed and precise. If a provider can accomplish that more readily by using a scribe, then let them have a scribe. Insisting on all providers doing it one way without any help is a little like insisting a surgeon can only approach the OR table from the left. It really doesn’t matter how they approach the table. 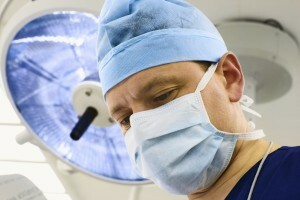 The skill of the surgeon once they get to the table is how they are remembered and subsequently reimbursed. As practices grow and highly skilled professionals are asked to multi-task in ways that make them uncomfortable, productivity is actually lost instead of gained. 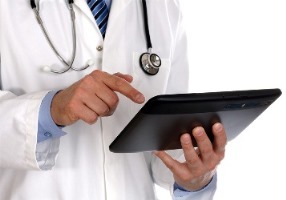 Flexibility and time must accompany training on EHR tools. Others in the practice may benefit from personnel help as well. In our zeal to automate, don’t cut the people who actually contribute to the productivity of the practice. The point of cost cutting is not to see how few FTE’s per providers you can get away with; it’s to make a long term commitment to change and re-invention that ultimately creates a practice environment that adapts easily to the demands of a highly automated world. Healthcare practices care for people and it needs people to do that effectively.